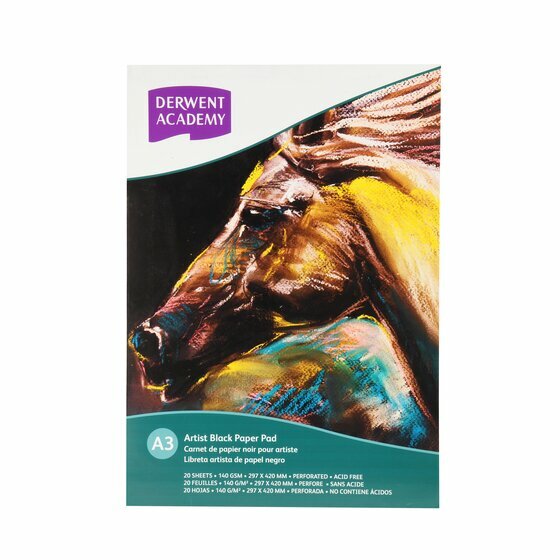 Durable 140 gsm black paper, perfect for use with pastels, paints and metallic pencils. The paper is FSC certified, perforated so you can pull out your artwork and display in a folio. Derwent Academy Black paper is versatile and multi-purpose. Durable 140 gsm black paper, perfect for use with pastels, paints and metallic pencils. The paper is FSC certified, perforated so you can pull out your artwork and display in a folio. 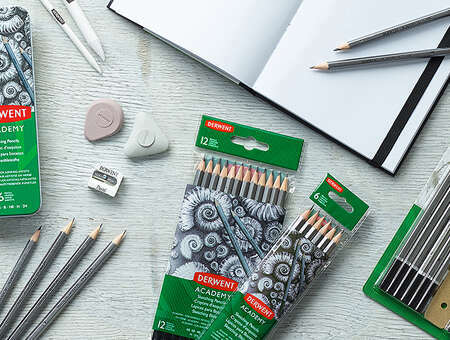 Derwent Academy Black paper is versatile and multi-purpose. 20 Sheets. Available in A3 & A4 size.